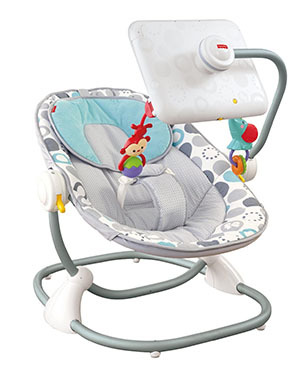 Just in case you weren’t disgusted enough by the iPad potty for toddlers, Fisher-Price has come out with the “Ipad Apptivity Seat”, which it explicitly says is for newborns. Slap your day-old human into this thing and start feeding him apps and videos before he even gets a chance to experience unmediated human interaction. I’m sure there’s absolutely no downside to that. If you think I’m exaggerating, check out the gallery of images that the manufacturer has provided to show that, yes, it’s really for tiny babies to be strapped into and Ludovico’ed.